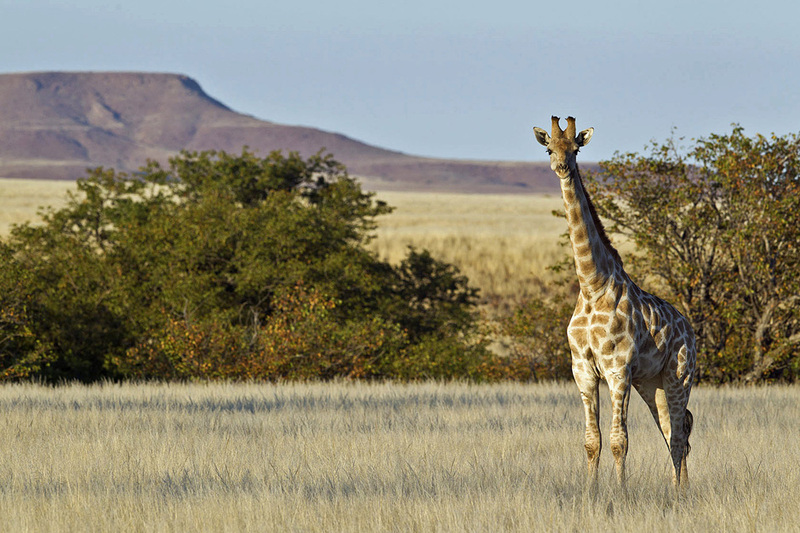 Wilderness Safaris was awarded the Authentic Travel Experience Award at the inaugural Amadeus and WTM Travel Experience Awards, announced at the World Travel Market in London on 6 November 2013. 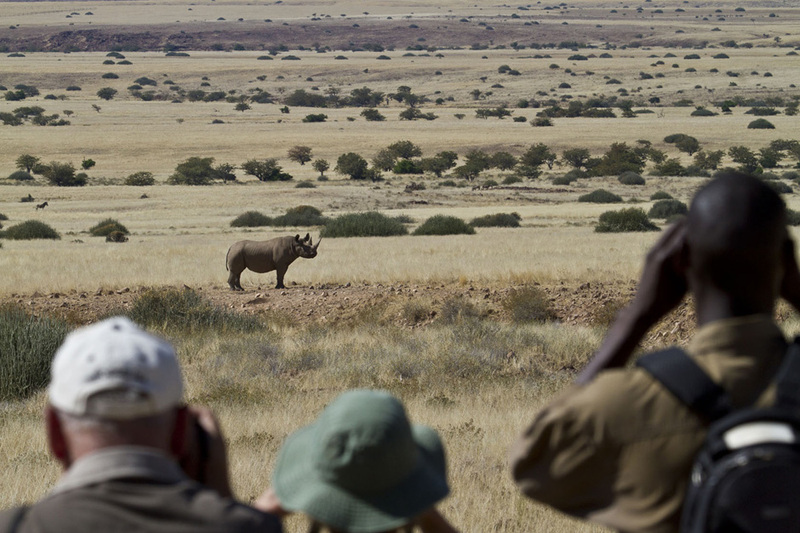 Desert Rhino Camp offers one of the most original wildlife experiences today to view Africa’s largest free-roaming black rhino population on foot and to help contribute to its conservation. 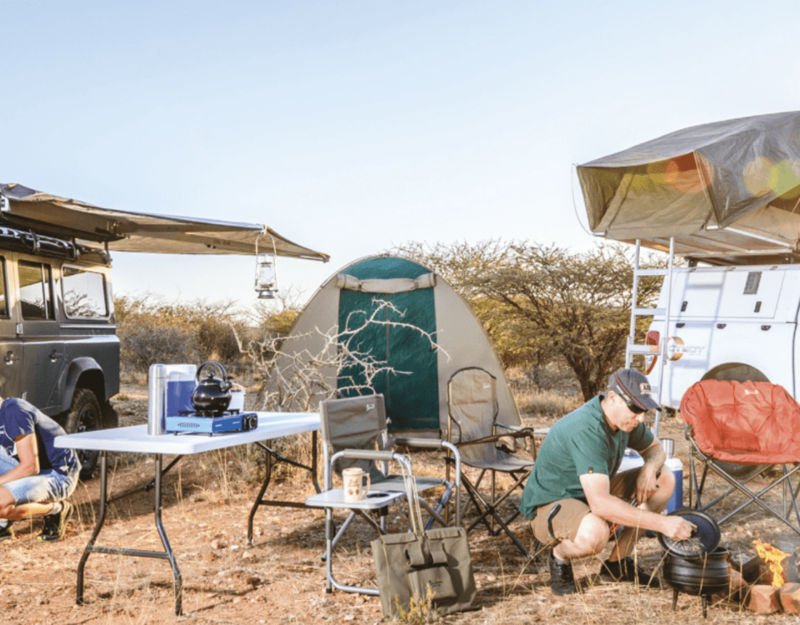 The camp lies in the 450 000-hectare Palmwag Concession in Damaraland – a region marked for its stark, minimalist beauty and surprising wealth of arid-adapted wildlife. Desert Rhino Camp functions as a collaborative effort between Wilderness Safaris and the Save the Rhino Trust (SRT), a highly-respected NGO that is almost single-handedly responsible for the preservation of desert-adapted black rhino in the area. Having barely survived the slaughter of ’80s and ’90s throughout other parts of Africa, the black rhino population has doubled since the formation of the SRT, which focuses on the protection, monitoring and understanding of the local black rhino population. The project is funded by both donations and partnerships. “We have an authentic conservation partnership with SRT, with a portion of every guest’s nightly rate going to the Trust and its conservation operations. The Wilderness Wildlife Trust also funds specific projects such as individual rhino relocations to boost other population centres in Namibia. “The on-going day-to-day activities of the camp and our guests help monitor and protect this Critically Endangered species, making a substantial and sustainable contribution to the ecotourism of this unique region”, said Dave Bennett, Wilderness Safaris Operations Director. Activities include rhino tracking on foot or by vehicle with SRT trackers, full-day outings with a picnic lunch, birding and nature drives exploring this vast, miraculous ecosystem with some of the most knowledgeable guides in Namibia. Palmwag Concession’s freshwater springs also support healthy populations of desert-adapted elephant, Hartmann’s mountain zebra, giraffe, gemsbok, springbok, kudu and predators such as lion, cheetah, leopard, and brown and spotted hyaena. Birdlife is prolific and diverse with most of Namibia’s endemics present. Set in a wide valley sometimes flush with grass, the camp comprises eight Meru-style canvas tents raised off the ground on a wooden deck, overlooking magnificent vistas of the surrounding desert and Etendeka Mountains. The open-plan tented dining and lounge area also offers panoramic views and evening meals are enjoyed around the fire pit under the star-filled skies.